Jim and the Muppets appeared on The Ed Sullivan Show half a dozen times in 1967. The first appearance that January, a reprise of a bit performed on The Hollywood Palace the previous March, featured Kermit at the piano, tickling the ivories. A series of increasingly large monsters threatened him as he frantically played “Tea for Two” and “You Must Have Been A Beautiful Baby.” Proving that music really hath charms to sooth the savage beast, Kermit successfully subdued the monsters with his playing – only to be eaten by his ferocious piano. A performer at a keyboard provides endless entertainment possibilities ranging from humorous songs to slapstick antics. Jim would have known the work of Victor Borge, Chico Marx, Jimmy Durante and others who used their musical skills so expertly in the service of comedy. He admired Charles Schultz’s Peanuts which features the Beethoven-playing Schroeder to great comic effect, and, perhaps most importantly, Jim relished the laughter among his family, playing and singing the songs of A.A. Milne or Walt Kelly around his mother’s organ. 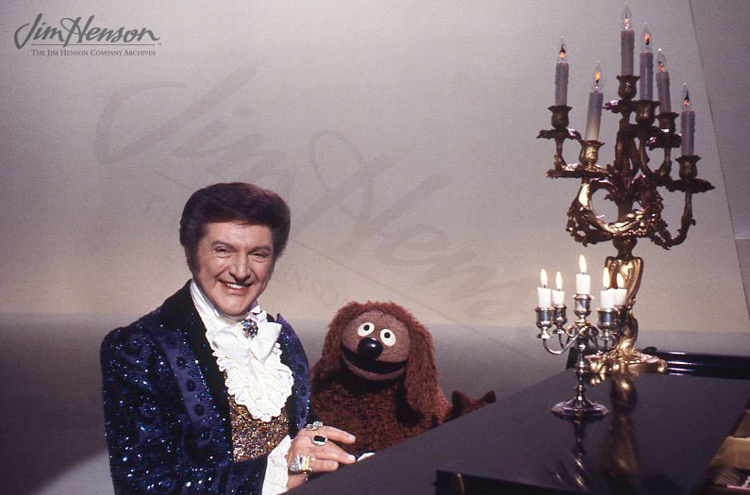 He put these experiences to good use – not just with Kermit on Ed Sullivan’s show, but particularly as Rowlf and Dr. Teeth on The Muppet Show. Don Music, the frustrated composer on Sesame Street, made audiences laugh when he banged his head on his piano, and his compatriot Prairie Dawn is often at her best leading a pageant with her hands on the keyboard. 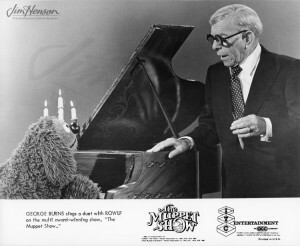 In recent years, the Muppets have sat next to many performers on a piano bench, including Cee Lo Green and Lady Gaga, sharing banter and song. 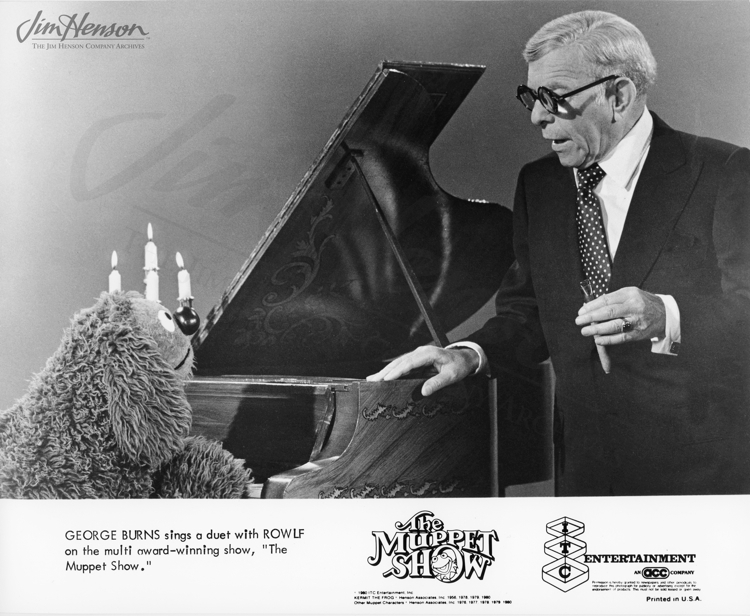 Rowlf at the piano with George Burns on The Muppet Show, 1977. 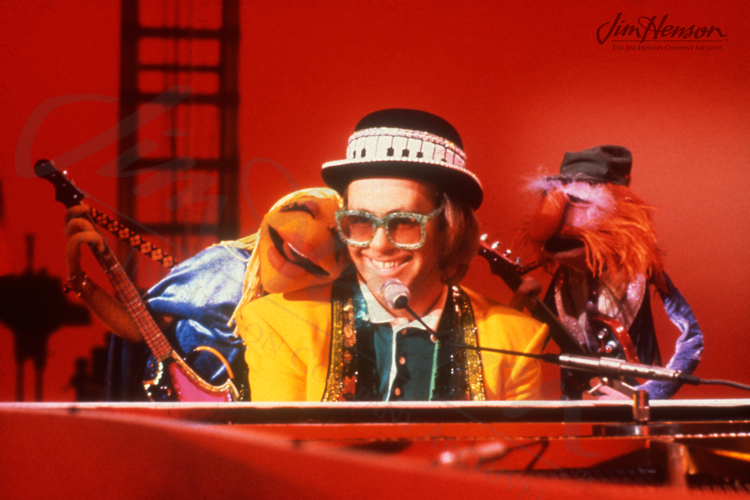 Janice and Floyd with Elton John at the piano on The Muppet Show, 1977. Liberace and Rowlf at the piano on The Muppet Show, 1978. 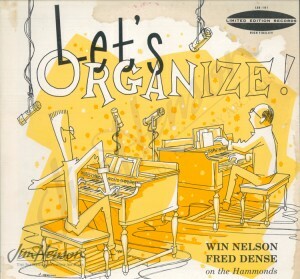 Jim’s album cover for Win Nelson and Fred Dense’s organ record, 1959.